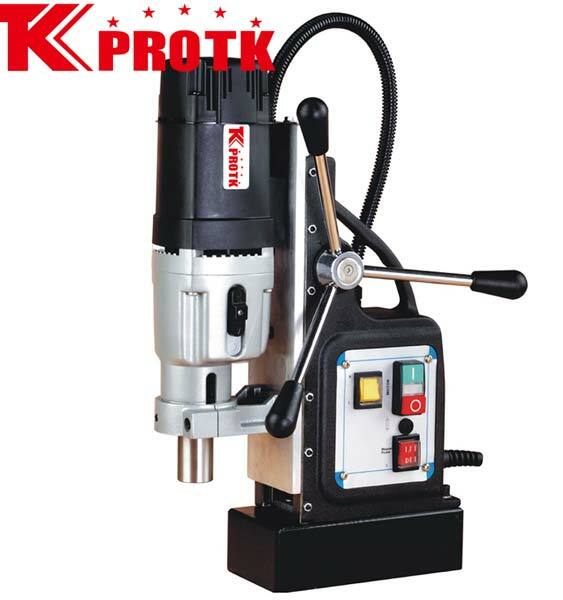 We are a reputed manufacturer, exporter and supplier of Magnetic Drill (TK-TYP-32-60) from Yongkang, China. This Magnetic Drill comprises of a 50mm cutter depth, M30 screw and MT3 spindle holder. The offered Drill has a magnetic adhesion of 18000N. With a core size 20*110*60mm and stroke of 210 mm, this magnetic drill has a net weight of 21kg and gross weight of 30kg. We offer these Drills in package size of 56*19*42cms.